Looking for movers in southern Middlesex County for your relocation? 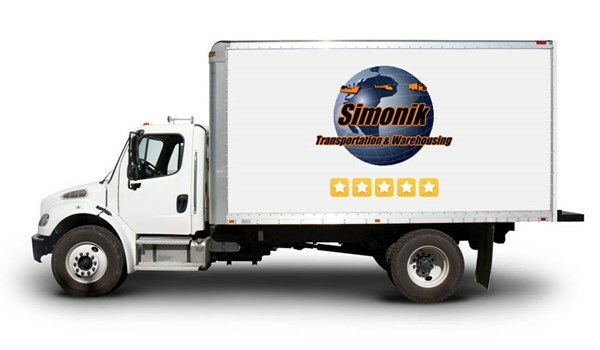 Simonik Transportation & Warehousing is the central NJ mover you’ve been looking for. Simonik Transportation has four decades of experience serving the southern portion of the county. Our moving company can handle all of your household and commercial moving needs from southern Middlesex County to virtually any destination in the world. We offer a broad range of fully customizable moving services to be sure that we design a moving that fits all of your requirements. The moving and storage team at our nearby central New Jersey office provide on-site relocation estimates throughout central New Jersey – including the towns in southern Middlesex County. From South Brunswick to Spotswood, Cranbury to Monmouth Junction and everywhere in between, our professionals deliver custom moving solutions based on your specific relocation requirements. Residential Movers: A full-service home relocation from Simonik Transportation will allow you to relax when you arrive at your new home. Commercial Movers: Our movers are trained to handle all of your valuable office equipment, and we can also offer you commercial storage services with your move. Specialized Moving: Our specialized movers are trained to handle a variety of specialized shipping options, including trade show shipping and hospital moving. Warehousing and Distribution: Simonik Transportation & Warehousing can streamline and reduce the costs of your warehousing and distribution. Storage Facilities: Allow us to store your belongings when you are moving abroad. International Movers: Whether you are moving down the street or around the world, Our Middlesex County movers can handle the job. No other southern Middlesex County moving company can perform the high-quality relocation services for the rates Simonik Transportation & Warehousing offers. Contact us to learn more about our moving and storage capabilities. Fill out our online quote form for your free estimate today. The moving and storage experts at Simonik Transportation & Warehousing are excited to begin working on your relocation.